Went for a morning jog on my new knee and heard Black-throated Green and Black-and-White Warblers singing all around me. 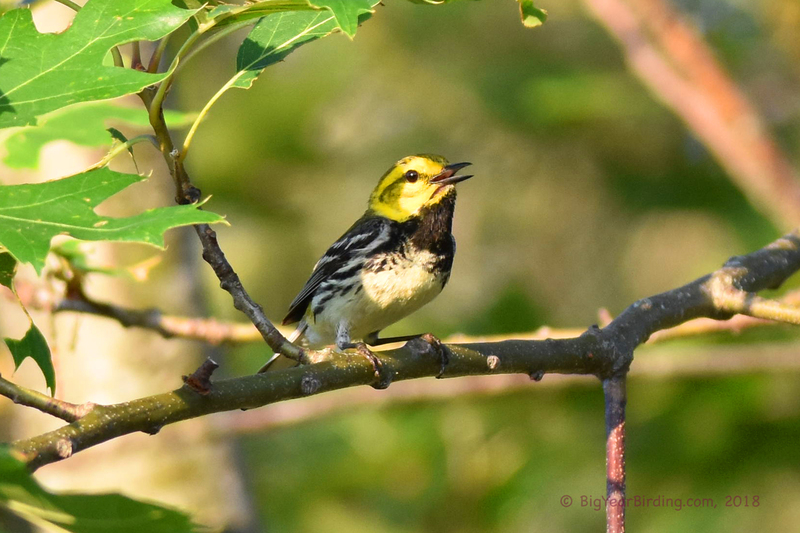 When I got home (now my other knee is hurting), I rush back out with my camera and got photos of the two warblers (plus a Common-yellow Throat and Yellow Warbler), Cedar-waxwings and the Ospreys near our house. Now let’s hope my other knee doesn’t need replacing.